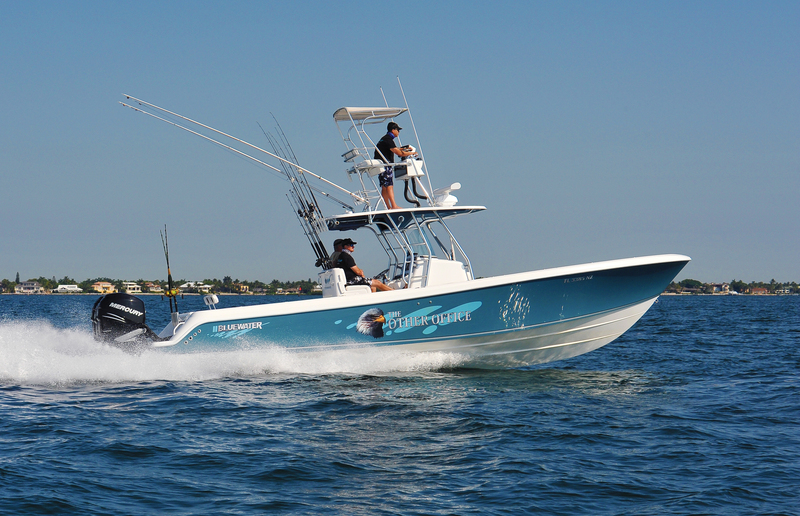 Bluewater Sportfishing Boats builds the best-balanced, smoothest riding center console fishing boats for offshore fishing, tournaments and families with the most options in customization. Bluewater specializes in 21, 23 & 23t, 25, 28 and 35 foot sport fishing boats. The deep-vee hull makes the ride smoother and safer and gets you to the fish faster. Build your custom boat now.